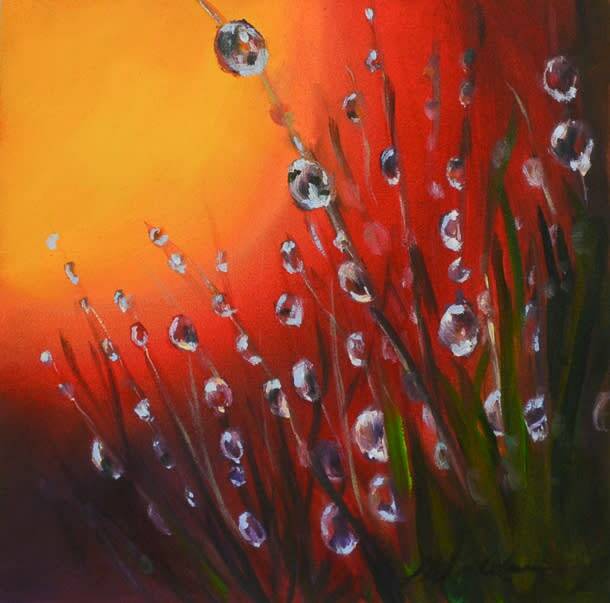 I am so ready for Spring so I decided to paint one of the first signs of spring, dew drops. I wanted something fresh and colorful - I loved the contracts of the cool blues against the warm sun in the background. The reference photo was provided by Photograph by Janet Herman from the Photos for Artists Facebook Group. Dew drops are one of the first signs of Spring. 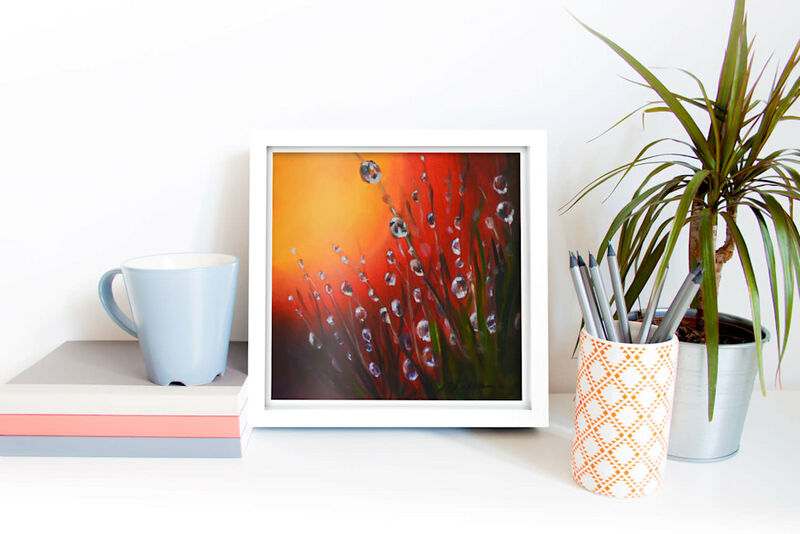 To ring in Spring with a painting, I wanted something fresh and colorful, and the sparkle of dew drops is what came to mind. I loved the contracts of the cool blues against the warm sun in the background.